As readers know, I shut this blog down in January because I felt I had nothing more to say. At least that’s how I thought until yesterday. I received a message from my friend Lyn in Wales letting me now that Yoshino Masaki sensei had passed away at the age of eighty. His name will not ring any bells to Karateka, but he was one of only three Tou’on-ryu teachers licensed by Kanzaki sensei. I was heartbroken when I read this news and soon was on facetime with Lyn as we reminisced about him and consoled each other. 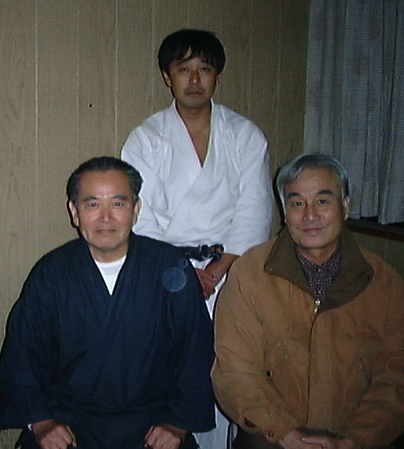 Kanzaki sensei, Ikeda sensei (standing) & Yoshino sensei at the 1999 Tou’on-ryu Gasshuku. 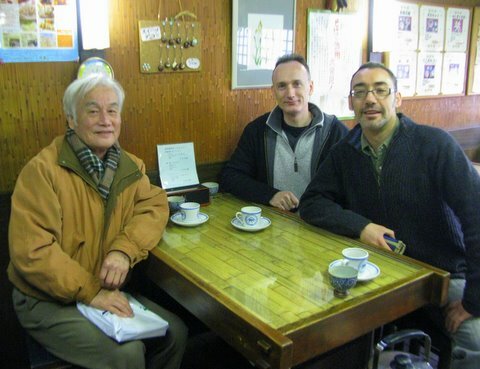 I first met Yoshino sensei at the Tou’on-ryu Gasshuku in Beppu way back in 1999. He was serious and skilled Karateka, but also had a bit of a mischievous side to him. I remember he pulled me over to the side at the Gasshuku and with a bit of grin told me, “Mario, go ask Kanzaki sensei about this technique in Jion. I could never do that, but you can get away with it because you’re a foreigner.” And of course, like a complete idiot I wandered over to Kanzaki sensei and asked him. LOL. Ah, to be young and stupid. 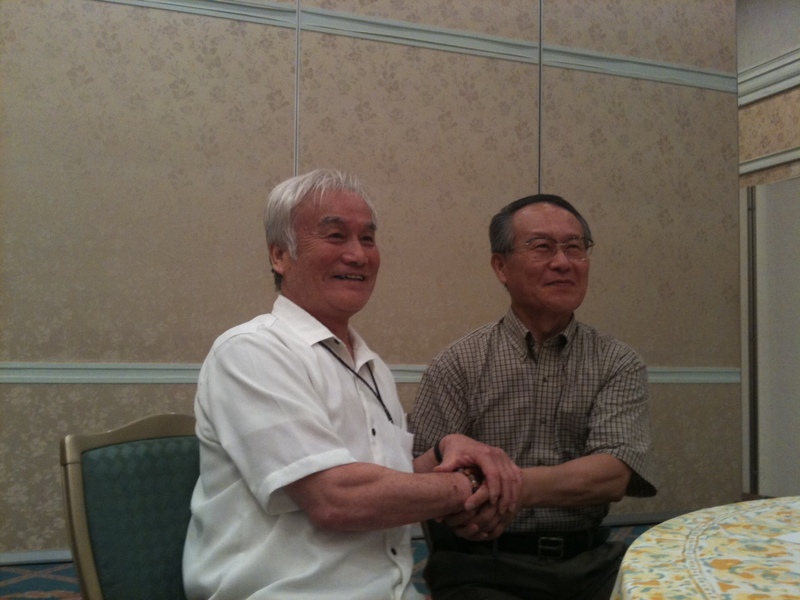 Yoshino sensei & Fujishima sensei (Tou’on-ryu’s Shihan) at Kanzaki sensei’s 60th anniversary banquet. 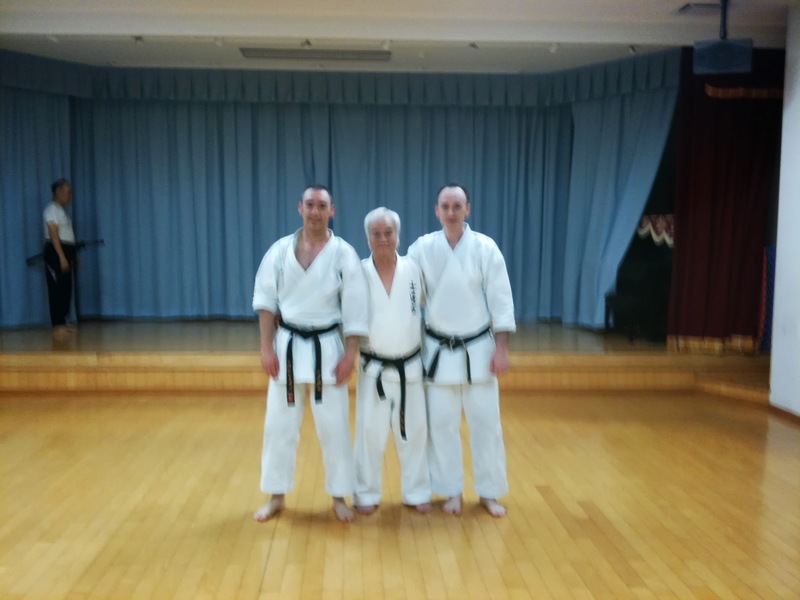 Unlike Lyn, who trained with Yoshino sensei several times a week, I did not have the opportunity to train with him much, but when I did I found him to be a knowledgeable and generous instructor. His passion for budo really came out when he taught. He was fun, playful and unlike many Okinawan, Japanese, and foreign instructors, never took himself seriously. He had an incredible wealth of knowledge of Karate-do. Not only of Tou’on-ryu, but also of Goju-ryu and Shorin-ryu as well. The only other person I have encountered with that level of familiarity with so many different Karate-do systems was Murakami Katsumi. Lyn, Yoshino sensei, Mario at his dojo in Kita Kyushu 2011. “A teacher dies and leaves his bones”. In other words, he leaves the essence of his teaching with his students. Yoshino sensei’s legacy will no doubt endure with his students: Shimada sensei, Kubota sensei, and of course Lyn. He will be missed but not forgotten.